Electric carmaker Tesla Motors is opening up its technology patents for others to use in a bid to accelerate the development of zero-emissions vehicles across the globe. "Tesla Motors was created to accelerate the advent of sustainable transport," Musk wrote in a blog post. "If we clear a path to the creation of compelling electric vehicles, but then lay intellectual property landmines behind us to inhibit others, we are acting in a manner contrary to that goal. "At Tesla... we felt compelled to create patents out of concern that the big car companies would copy our technology and then use their massive manufacturing, sales and marketing power to overwhelm Tesla. We couldn't have been more wrong. "The unfortunate reality is the opposite: electric car programs (or programs for any vehicle that doesn't burn hydrocarbons) at the major manufacturers are small to non-existent, constituting an average of far less than 1% of their total vehicle sales. "Given that annual new vehicle production is approaching 100 million per year and the global fleet is approximately two billion cars, it is impossible for Tesla to build electric cars fast enough to address the carbon crisis. By the same token, it means the market is enormous. Our true competition is not the small trickle of non-Tesla electric cars being produced, but rather the enormous flood of gasoline cars pouring out of the world's factories every day. Musk's announcement comes as organisers of the electric car racing championship Formula E unveiled details of a joint partnership with the Edison Electric Institute (EEI); to work together on the advancement of electrification in the transportation sector. Formula E's CEO Alejandro Agag said: "We are great advocates of EEI and its commitment to promoting the use of electricity in new, exciting and environmentally friendly ways. We are looking forward to working together for years to come to make a real difference in the energy sector and beyond." And in another piece of news for the electric vehicle sector, Nissan - which produces the electric 'Leaf' vehicle - has announced it is entering its next important phase with the launch of e-NV200, the firm's second 100% electric vehicle. "There is change in the air," said Nissan Europe's director of electric vehicles Jean-Pierre Diernaz. "Europe's cities are introducing ever stringent restrictions on emissions. London already has a congestion charge zone based on emissions while the city's Mayor is preparing for the introduction of an Ultra-Low Emission Zone by 2020. 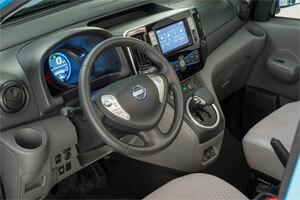 "As the growth in sales of Nissan LEAF proves, this is the time of the zero-emission vehicle. Nissan e-NV200 takes us into a completely different market segment and will help cement our position as the global leader in electric vehicle technology."